A beautiful, bold Vermouth: 25 different botanicals and Verduzzo del Collio wine united to combine tradition and innovation in a sophisticated liqueur. Handcrafted with great dedication and available only in limited quantities - offering a unique taste of Friuli Venezia Giulia! Inspired by secret recipes created in 1946, these spirits are handcrafted at every stage using only ingredients of the best quality. 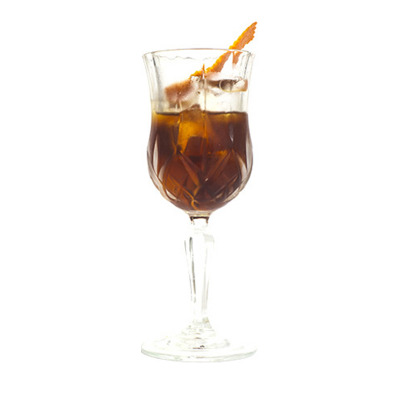 Whether matched with classic liquors or prohibition-style cocktails, Vermut 25 brings extra dimension and additional complexity with its persitent, bitter-sweet personality. Thanks to a special processing of the herbs, the body has fruity notes that range from red fruits to black cherry; the bitter tones come from the maceration of herbs such as gentian root and cinchona bark. Rounded and smooth on the finish thanks to the angelica root and seeds. Negroni time, everyone! NB: worry not if your bottle has a little in the way of sediment - this is entirely normal and due to the natural, quality ingredients used, and a refusal to filter.. INGREDIENTS: 25 botanicals, as prescribed in an ancient Italian recipe: three different varieties of wormwood and two of orange, while all the others are highly secret. ABV 18% PRODUCTION METHOD: there are 2 extractive methods: cold maceration of dried herbs, hot maceration (digestion). 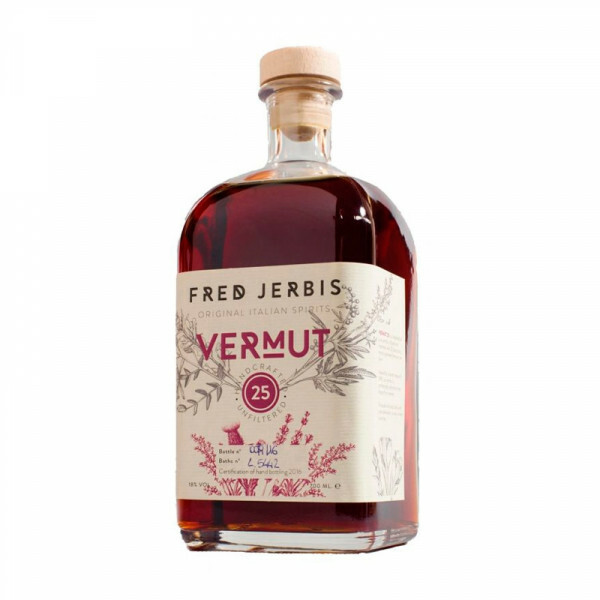 Our Vermouth delightfully matches the majority of classic liquors like aperitif bitters and suits the prohibition-style cocktails, always maintaining, at the sametime, its strong personality, thanks to its bittering and sweet component.